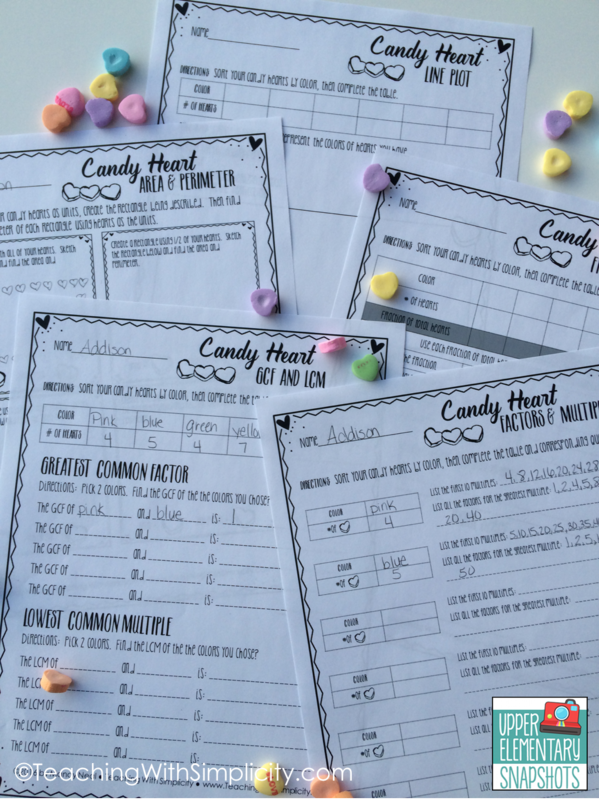 Every year around this time those conversation candy hearts begin to show up everywhere I look, and every year I fall for buying them. Honestly, I don't think they taste good at all! 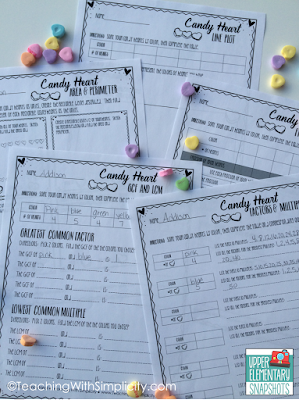 In fact the only ones I like are the white ones. 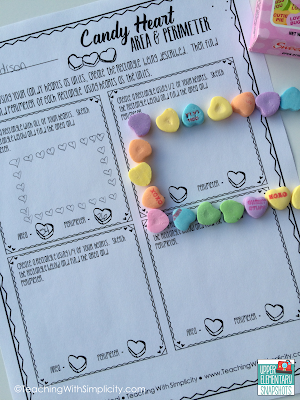 So....I have all these candy hearts with nothing to do with them, until now! 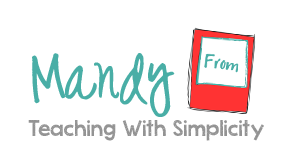 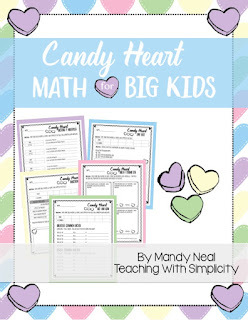 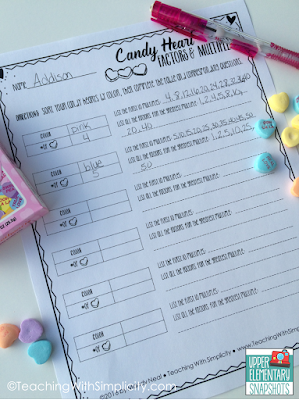 Candy Heart Math for Big Kids contains five free printables. Students use these colorful candy hearts to practice the following skills. 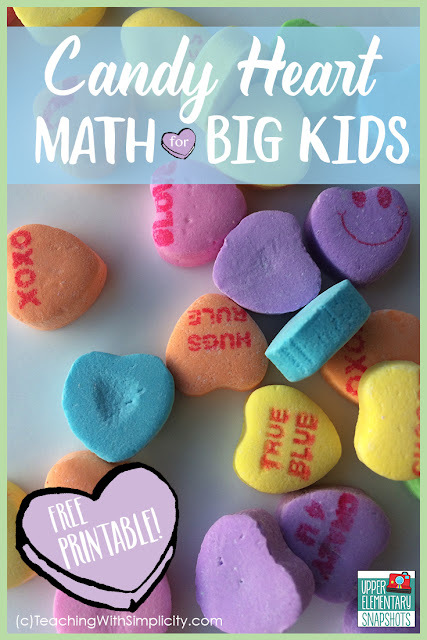 You can grab this free printable HERE.